So good we had already started eating! Time to explore Anguilla with friends. My friend Hanna arrived in Anguilla safely and so far we have been having a great time. It has only been two days but she has already seen and done so much with and without me. On Sunday, we had lunch at On Da Rocks. 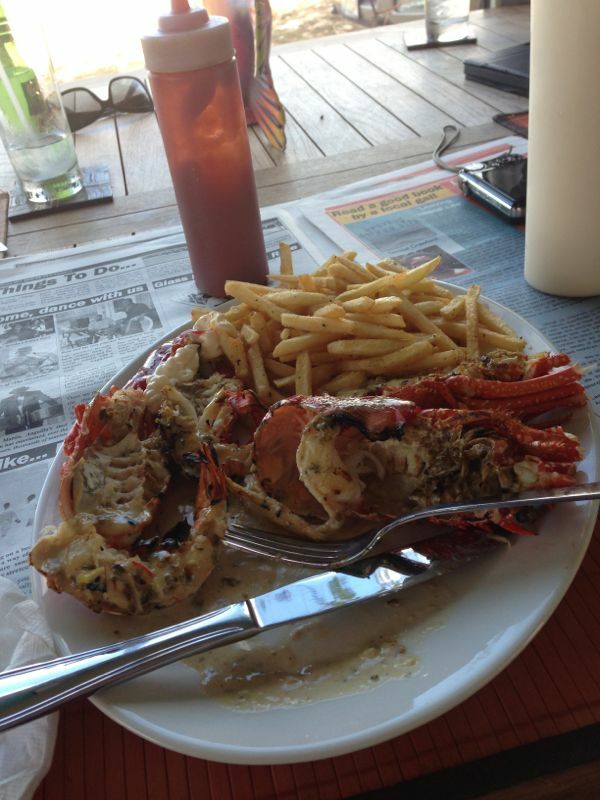 Most persons would agree that the crayfish special on the weekend and the spectacular view of the bay and Scilly Cay make this a great place to have lunch and to spend a relaxing Sunday afternoon. After lunch we headed to Sandy Ground for some live music. When we got to Sandy Ground, Hanna said ‘ I feel like I am in a movie.’ Honestly, sometimes when I just stop, relax, breathe in deeply and look around, I realise that I truly do live on a spectacular piece of this earth. OK enough poetry :). Our next stop on that day was da’Vida for drinks and naturally while there we had the opportunity to enjoy a beautiful sunset. I was scheduled on the following day to go scuba diving with Hanna but I had to back out. Hanna had a terrific first dive experience with Shoal Bay Scuba and by the end of the week should have her diving certification. It is so interesting that in my 20 plus years I did consider trying scuba diving but never considered a certification. Matthew, the owner of Shoal bay Scuba called me a chicken when I didn’t show up for the dive. Matthew let me put you on notice that I will scuba dive this year. Instead of diving, I continued my wedding preparations. I did my final dress fitting at Bridal Affairs, had a dress rehearsal at the church with the bridal party, ran some other errands and of course took some time to relax with family and friends. With only a few days to go before the wedding, Nash and I are getting more excited. When the flute was played by my sister and our friend sang at the wedding rehearsal, my heart was truly filled with happiness and gratitude. I don’t want to be sappy but I am certainly enjoying this chapter of my Anguilla experience. 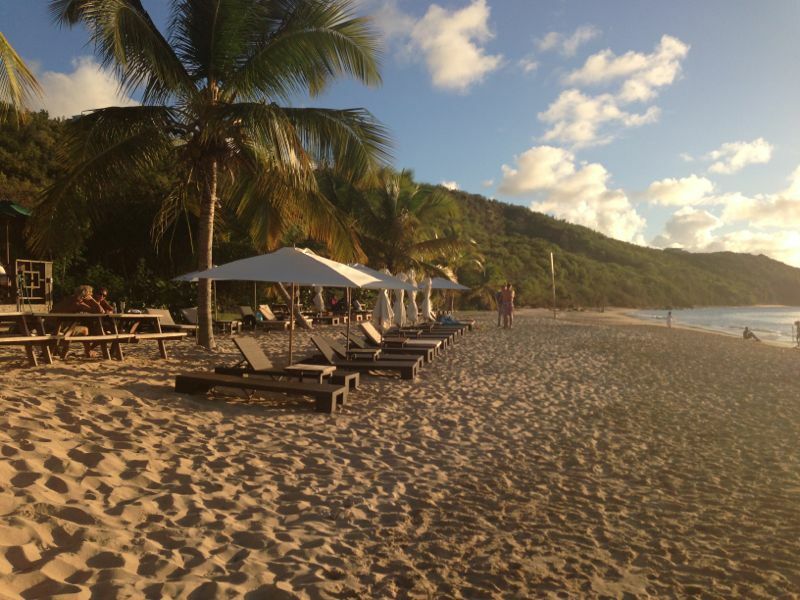 What are some of your favorite memories as you explore Anguilla? Thanks for visiting my page. Please spread the word about myanguillaexperience.com and follow me on twitter @ShelleciaB and Facebook and YouTube at My Anguilla Experience. PreviousA beach wedding in Anguilla – It was beautiful!